Great-Tasting Veggie Burgers are Here, But Are They Any Healthier? It’s a new era for veggie burgers. Meticulously engineered patties from the likes of Impossible Foods and Beyond Meat have emerged from research labs that made plants fleshy, smoky, and even “bleed” a bit. The veggie burger’s evolution out of the frozen food section is clearly a boon for vegetarians and the environment (a fact the companies like to repeatedly tout), but when it comes to health — well, that’s still a matter of debate. Saying a food is “plant-based” does not mean it’s made with whole vegetables, and therefore healthy. These meat-free burgers, like many vegan food products, are full of derivative ingredients such as protein isolated from plants. Furthemore, like white bread, these non-meat burgers lose nutrients with processing, according to dietician Sharon Palmer. “The issue is that highly processed foods are often left with highly absorbable carbohydrates, and little of the important nutrients, such as fiber, vitamins, minerals, and phytochemicals,” she says. Besides protein, saturated fats are another key component of burgers, which the non-meat formulations get from coconut oil. “Coconut oil is ideal for replicating the fat in ground beef. We know, we’ve tried them all,” says a representative from Impossible Foods. “It melts like beef fat and gives our burger its juiciness.” The Impossible Burger then ends up with comparable saturated fat to a beef burger. Beyond Burger’s patties grill, bleed, and melt like regular beef. MORE: Is Red Meat Bad for You? Both the Impossible Burger and the Beyond Burger have more than five times as much sodium as an unseasoned beef patty for two main reasons: preservation and flavor. While moderate salt intake is healthy, too much sodium can lead to high blood pressure, which increases the risks of heart disease and stroke. The plant-based burgers score better than beef on a couple of nutrition measures. Both the Beyond Burger and the Impossible Burger have zero cholesterol, as opposed to the 100 milligrams of cholesterol in an 85-percent lean-beef burger. Cholesterol itself is only found in animal products and, just like saturated fat, eating a lot of it can raise LDL levels that are linked to heart disease. The Beyond Burger also has more of the essential mineral iron than a beef burger does. But the biggest health advantage the non-meat burgers have over beef burgers is skipping out on the particular risks associated with consuming red meat. 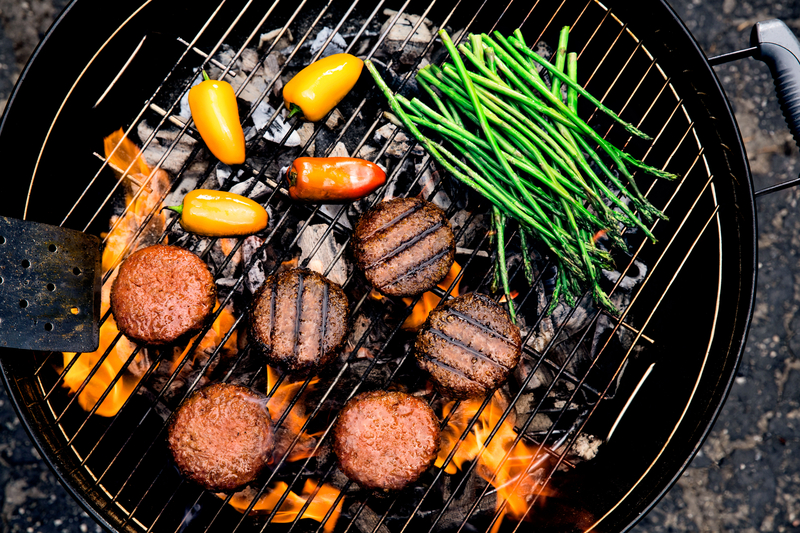 Eating a lot of well-done or barbecued meats has been linked to increased risk for colorectal and other cancers. Considering the health of the world, it’s also worth noting that industrially farmed cows are often fed antibiotics, a practice that contributes to the rise of antibiotic-resistant bacteria. The bottom line? Both somewhat unhealthy, meat and non-meat burgers should not be a regular food item for anyone. As occasional treats, though, it’s nice to know that there’s finally one burger both you and your vegetarian friends can enjoy.